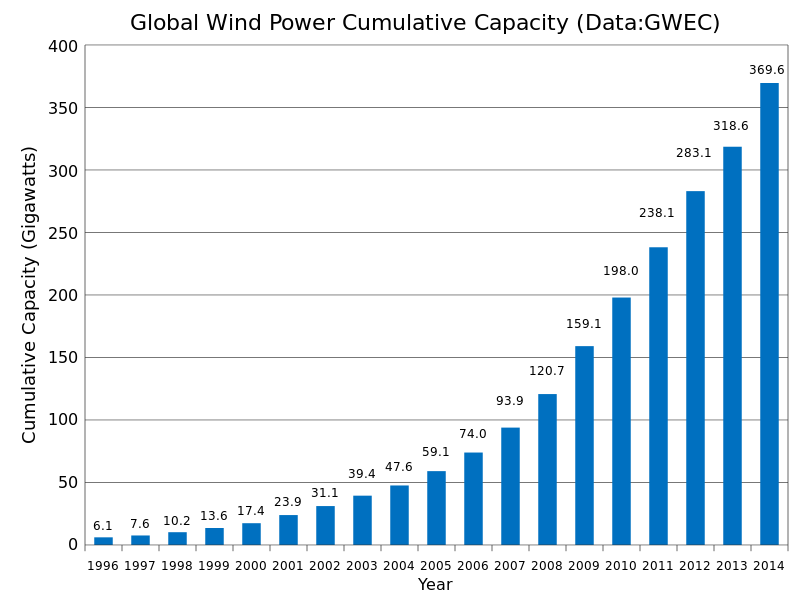 Wind energy use is the fastest growing energy production segment that relates to renewable sources. 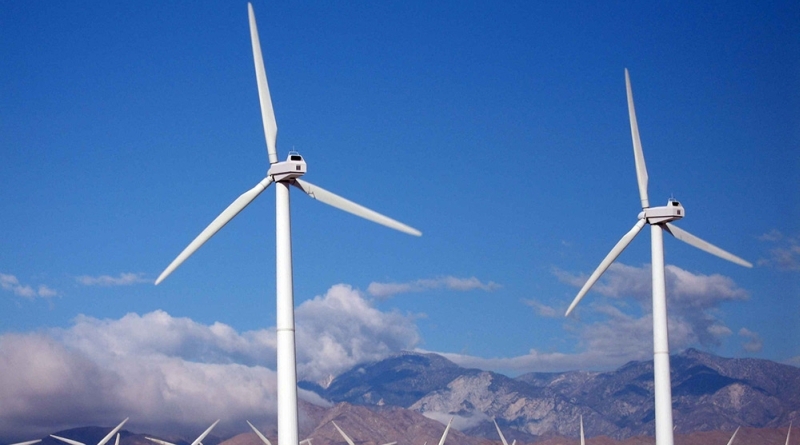 In the last couple of years, wind turbines have been greatly upgraded. Best example is German turbine market where average power from starting 470 kW in 1995 increased up to a 1280 kW in year 2001. 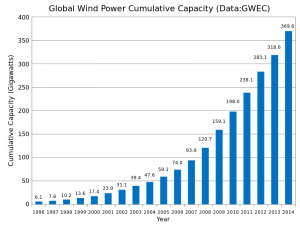 This power increase has been reached by using the suitable enlargement of turbine’s size that is driven by wind. Momentarily, turbines which will be able to generate strength between 3 and 5 MW are developed. Some manufacturers already presented their prototypes in this power level (German company Enercon should produce turbine that has power of 4,5 MW). In the following text I’ll use term windmill because this term is widely spread. Terms wind power plant, wind generator, electric wind turbines are also in use. The cost of windmill is momentarily higher than the one of the thermal power plant, with MW of installed power as a measure (windmill costs about 1000 €/kW of installed power, and thermal power plant 700 €/kW), but as the technology develops, price difference gets smaller. Total world energy consumption is estimated around 410×1015 btu in year 2000, which is yearly 1.2×1014 kWh. Entirely installed wind power plant’s power till the end of the year 2000 was predicted on 17415 MW with average power plant’s working hours of 2500, which gives 0.044×109 kWh yearly disposable energy amount. So as you can see, proportion of wind energy is very small compared to the total world energy consumption. Wind energy is transformed form of Sun’s energy. Sun heats unequally different parts of the Earth that results in different air pressures and wind arises because of the air pressures equalization’s tendencies. There are parts of the Earth on which so called constant (planetary) winds are blowing and these areas have best profitability when it comes to using the wind energy. 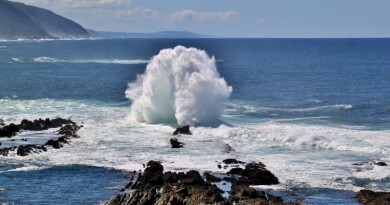 Good positions are ocean’s coastlines and sea main. Sea main is emphasized as the best position because of the constant winds, but costs of installation and transition of that energy are huge, therefore exploitation is aggravating. When the wind’s kinetic energy transforms itself to mechanic energy (spinning the axis of generator), only difference of the wind’s speed on entrance and in exit is exploited. Albert Betz, German physicist discovered long time ago, in year 1919 Wind energy theory, which was published in 1926 in his book “Wind-Energie”. 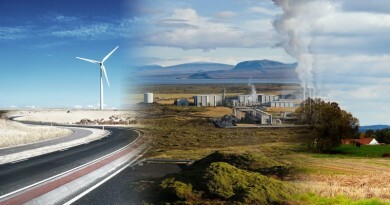 That was the quality aspect of the knowledge that applies to possibilities of using wind energy and wind turbines. His theory shows that we could transform less than 16/27 or 59% of kinetic energy in to a mechanical energy using wind turbines. 59% is a theoretical maximum, with only 35% to 45% transformable wind’s energy in reality. Good sides of using wind energy are: high installations working reliability, no fuel expenditures, and no environment’s pollution. Bad sides are high construction work’s costs and changeability of wind’s speed (therefore no energy delivery guaranty). Households are more interested to small windmills up to couple of ten’s kW. Small windmills can be used as supplementary source of energy or as primary source in some distant areas. When used as primary source, it’s necessary to give it batteries (accumulators) in which energy is stored when generating itself more than is its consumption. Large windmills are often installed in windmill’s park and through transformers connected to electrical network. European Union and USA have built their resources atlases for wind speeds of 45 meters above the ground’s surface. From these maps it’s visible that one quarter of European’s union surface is ideal for installing windmills. 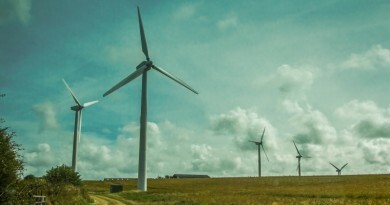 Denmark’s measuring of its own wind potentials is dating since 1979. Result is that Denmark today has most precise informations concerning wind, which are used for the building of new windmills. USA also invested huge funds in building an atlas of potential wind energy for all of its areas. Nearly 50% of total USA area has extremely favorable conditions for use of wind’s energy. Here of course highest potentials have alpine areas of west and southeast coast frontal, especially northern areas near the Canada, where percent of wind potentials is from 15-36%. That central part of the USA refers to huge areas of prairies. For every ten meters of tower’s height, its price increases for 15 000 $. Bigger turbines will give more energy, but different diameters demand bigger tower’s height, and they dictate stronger or weaker turbine’s power. For turbine’s power of 225 kW, rotor will have its range of 27 meters, for 600 kW 43 meters, and from 1500 kW 60 meters. Opinion that dominates today is that required minimum considering the windmill’s work most be satisfied, and that’s wind speed of 25 km/h or 6.9 m/s. Recently multi-megawatt turbines are being built as well, like the one that was mounted in Denmark in the end of 1999: NEG Micon windmill of 2MW has rotor’s diameter of 72 meters that stands on 68 meters high tower.